Bring some freshness and creativity to your everyday meals by picking a great meal delivery service. Both services offer innovative and healthy meals at reasonable prices. 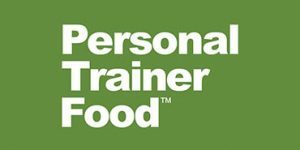 Check out our comprehensive Personal Trainer Food VS FreshDirect comparison to learn more about both services and choose the best option for your family. With Fresh Direct, you have thousands of food items, hundreds of dishes, and around 40 meal kits at your disposal. FreshDirect offers omnivore, vegetarian, vegan, organic, low-calorie low-carb, low-fat, and gluten-free meals and meal kits. Its ready-made dishes include breakfasts, entrées, sides, appetizers, and soups, as well as a variety of sauces, marinades, salsas, dips, salads, pizzas, sandwiches, wraps, marinated meats, kabobs, and even sushi. You can also purchase groceries, pastry, and beverages.